Perkins is a picture-perfect example of how solar can be affordable and offer a major financial benefit to nonprofit organizations. If you ever travel Route 70 through Lancaster, MA, or if you run a nonprofit in the human services arena, you’ve probably seen or heard of Perkins. The human services agency has operated from a highly visible location on Main Street since 1924. Today, it provides residential and day treatment services to more than 1,000 children, adults and families. 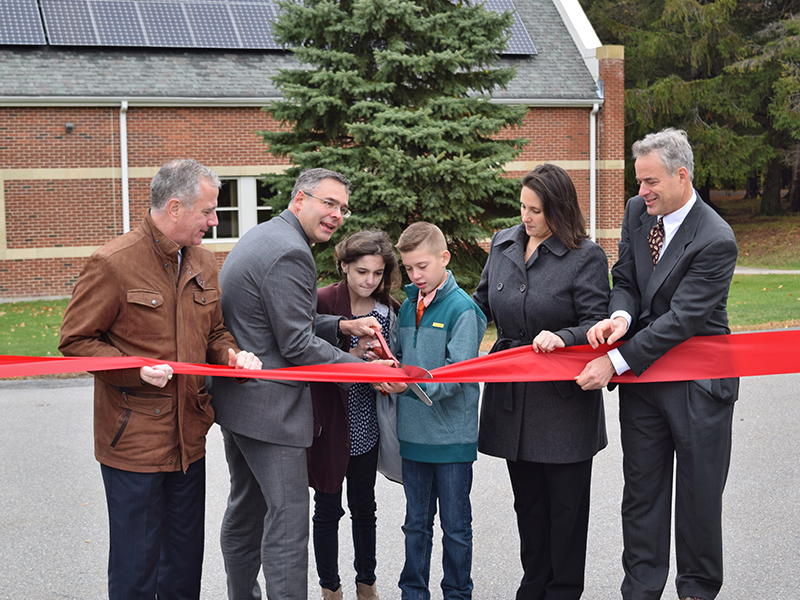 CEO Michael Ames knew that installing a solar electric system on the agency’s Janeway Education Center would “green” their brand, underscore their commitment to innovation and the environment, and make the nonprofit more appealing to stakeholders including donors. Last but hardly least, solar would free up budget for other important uses. According to Facilities Director Steve Young, this has proven true in less than a year. The new solar energy system reduced the agency’s electricity budget by nearly $12,500 in the first half of 2017. Plus, it earned an estimated $17,325 in SREC income. The monthly financing fee Perkins pays is more than offset by the savings and income, making the project cash flow positive from the start. “Shifting some of our electricity budget to solar was an environmentally responsible way to get the same amount of reliable energy at a drastically reduced price. And with no upfront capital investment necessary, it is essentially risk-free,” Young says. Similar experiences are driving solar adoption nationwide. More solar was added in the U.S. in 2016 than any other power generation type, according to the Solar Energy Industries Association. Because the 236-foot-long, south-facing roof of the Janeway building is so visible to visitors, pedestrians and drivers. the importance of an aesthetically pleasing installation was heightened. The all-black system blends into the building’s roof, as well as the surrounding campus and neighborhood. “We are thrilled with the way this project has turned out. Thanks to New England Clean Energy’s engineering and design, the panels fit in perfectly with the architecture of the building. To have such a good looking installation and projected benefit of $580,000 over the next 25 years, and a positive impact on our environment, is a big win for Perkins. “Between our rooftop solar and a community solar project, 90% of Perkins electricity is now produced by the sun, saving us an average of over $80,0000 annually, for the next 25 years!” Ames explains. The 115.8-kilowatt, 354-panel system has people inside and outside the agency talking solar. “The buzz we hear is all positive — the project looks good, demonstrates good environmental stewardship and was a good business decision,” says Young. Click here to watch a time lapse video of the Perkins installation.